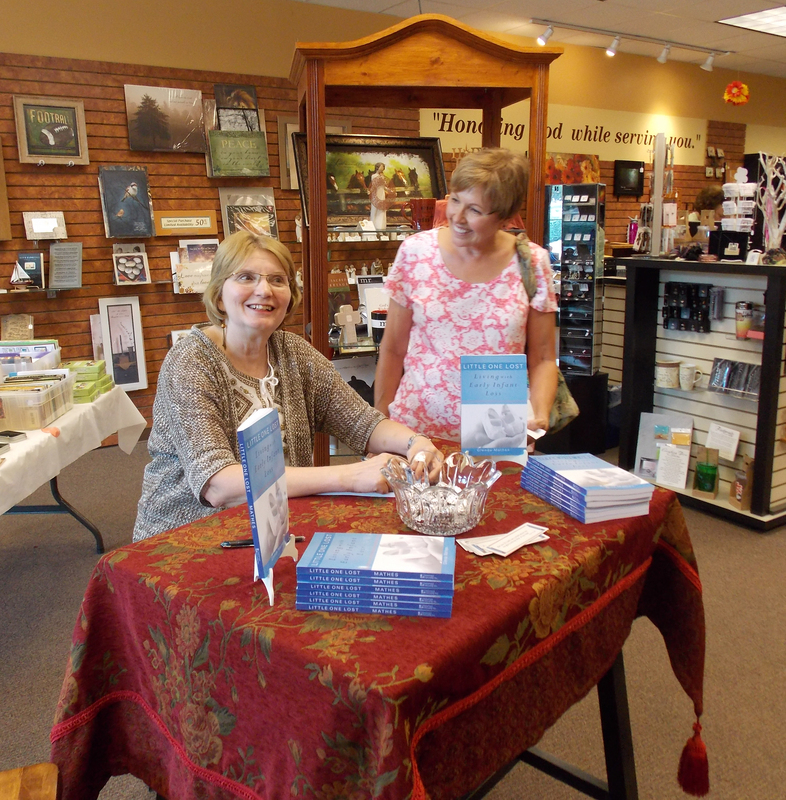 Yesterday was the local launch for my book on infant loss: Little One Lost: Living with Early Infant Loss, published by Reformed Fellowship in Grand Rapids, MI. It was an amazing day. In the morning, I was with Evelyn Nikkel at KCWN’s radio station for more than an hour of on air time that consisted of prayer, discussion, and appropriate music. During that time frame, a listener from Ottumwa called to say how meaningful she found the discussion because she’d had ten miscarriages. Since she was on her way to Des Moines, she actually stopped by the station and I had the opportunity to chat with her and sign a book for her. 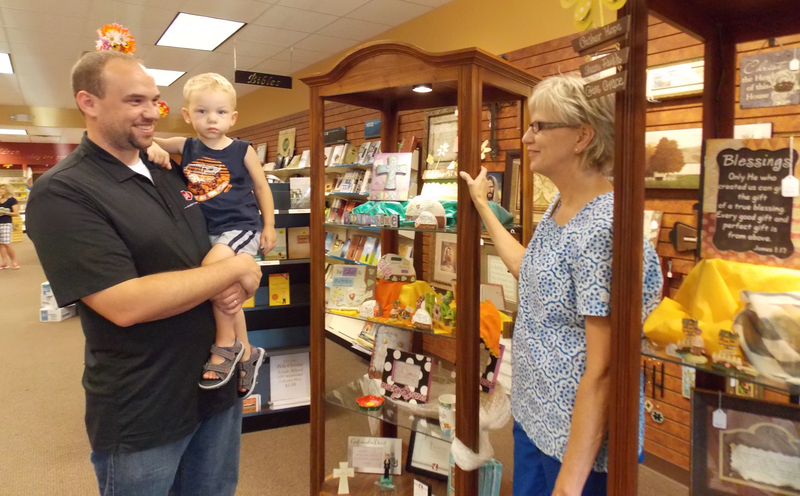 Later Evelyn offered another free book to a listener and I spoke on the phone with someone whose nephew and his wife lost their baby at five months, while he was serving in Afghanistan. During the broadcast, I prayed five times and Evelyn played touching music. It was an emotional morning. Many people told me they listened to part or all of the broadcast and several asked about an online podcast. Evelyn gave me a CD recording, but I hope to check with her next week about posting the audio file on their website. If that happens, I’ll post a link on my blog. This morning I received an email from Francine, a young woman who had shared her story with me and is now doing missionary work in Papua New Guinea. She’d heard the broadcast by clicking on the “Listen Live” button on KCWN’s website. While it was 7:30-8:45 am here, it was 10:30-11:45 pm there. Thanks for staying up so late to listen, Francine! Yesterday afternoon was fun, although unrelated to the launch. I participated in a conference call editorial meeting for the Messenger, newsletter of Mid-America Reformed Seminary. As usual, I have lots to do in little time, but I’m excited to be working on some fun stories. In the evening, I had dinner with my friend and fellow writer, Angela, with whom I’ve met regularly for 18 years. Angela and I arrived early at Branches Christian Store to discover that I’d already sold a book, even though they weren’t there yet! Before 6:30, we’d sold another one. I’d ordered 30 books, which had arrived on Saturday, and after the signing I took home zero! I’d given away a few in connection with the radio broadcast, I’d sent some to people who contributed to the book, and I sold some prior to the signing, but 14 sold at the store. The owner wanted to keep the last two to sell on commission for me since people who heard the broadcast may request it. It was a lovely evening with a steady stream of supporters (and purchasers!) that allowed me to speak to each one individually. Angela and I had a few moments to chat early on, but the evening was completely free from boring lulls. Thanks to all of you who came out on such an incredibly hot evening, especially since city festivities were cancelled! Thank you to all who listened during the morning radio broadcast. And thanks to all you faithful blog followers and regular readers. Primary thanks go to our Heavenly Father, who gives us the hope of salvation through Jesus Christ his Son, and daily equips us through the renewing work of his Holy Spirit! 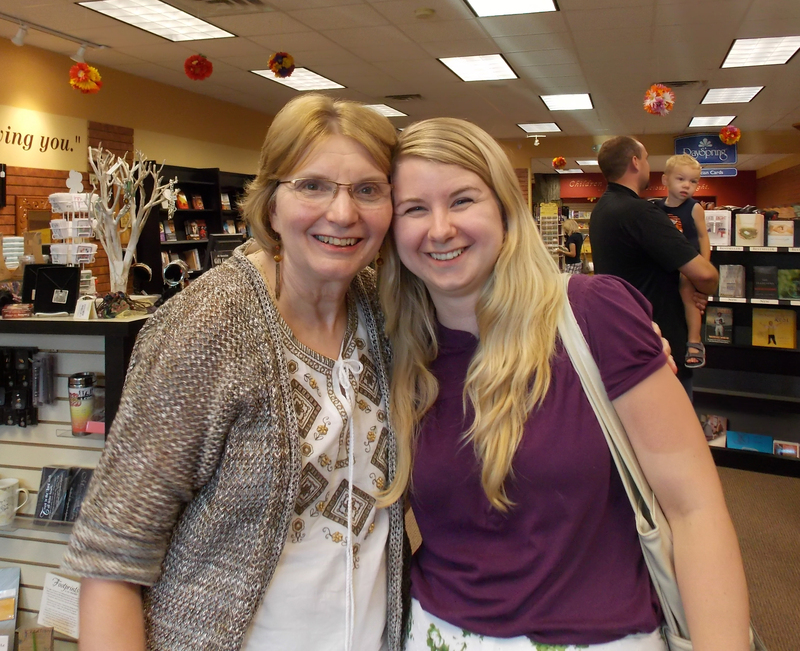 Glenda, I wish I could have come to the book signing. We had a church gathering with Russian missionary at the same time. I still want to get a copy soon! Esther, no problem! There are always conflicts in life. Rosa encouraged me to do another signing, so I may have a second one this fall.